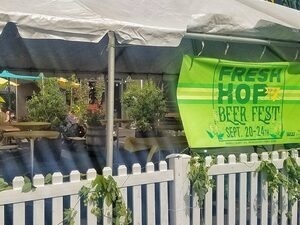 Enjoy an outdoor, covered pop-up beer garden featuring all fresh hop beers with daily tappings, featured brewer nights, Oktoberfest-style food specials, fire pits, music and more. No cover charge, all-ages, pay-as-you go cash bar with $5 full beers and $3 half pints. Presented by PDX Beer Week, Burnside Brewing Co and Willamette Week.